Australian Prime Minister Julia Gillard has announced that Australia will donate up to four of its C-130 Hercules transport aircraft to Indonesia for disaster relief and humanitarian work in the first military swap of its kind between the two countries. The C-130s, most likely the four C-130H airframes which have been mothballed after the arrivals of the newer C-130J models, will reportedly cost about A$25 million to be made airworthy and were due to be sold on the open market before this decision. 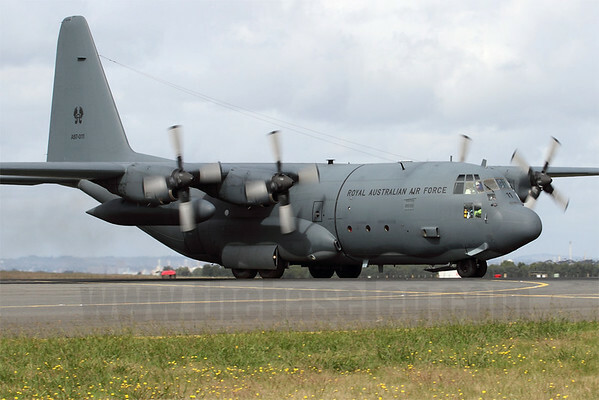 The RAAF currently operates eight C-130H and twelve C-130J aircraft with 37 Sqn at RAAF Richmond, to the west of Sydney. "Building on the disaster management cooperation that was agreed at the East Asia Summit, I was also pleased to advise President Yudhoyono that Australia will gift up to four C-130 Hercules aircraft to the Indonesian air force for humanitarian assistance and disaster relief. These are aircraft that require work and repairs but Indonesia is very keen to have them to assist with disaster management. And I was able to convey to President Yudhoyono from my own personal experience during our summer of natural disasters that these aircraft are very important to the movement of people and equipment and food during times of difficulty."